Mr. Macke teaches while the second graders listen closely. 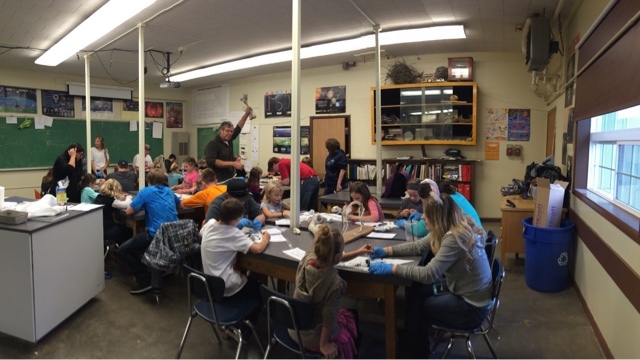 Last Thursday we headed to the High School Science Lab to dissect owl pellets with our science buddies. 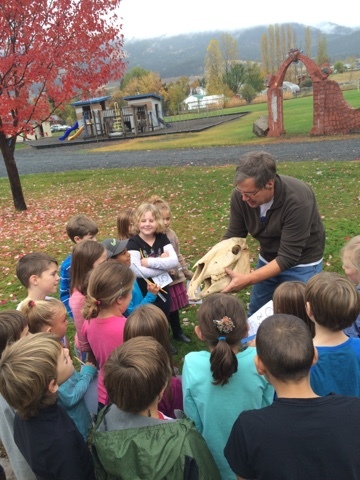 Mr. Macke introduced us to "Mr. Ed" who helped explain how a skull fit together and how the teeth of a horse worked in the process of consuming food. 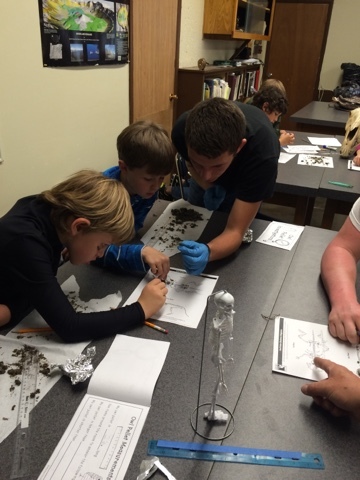 This information helped us identify the mouse skulls in the owl pellets and had us looking closely at their teeth. 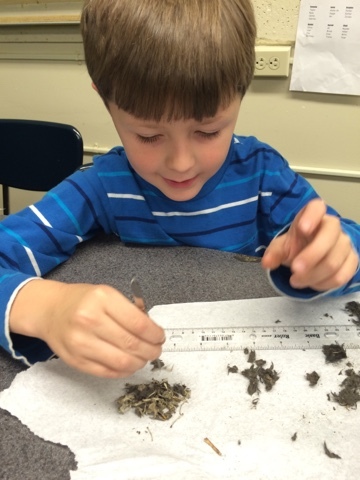 We were looking through the owl pellets for skulls and other bones. 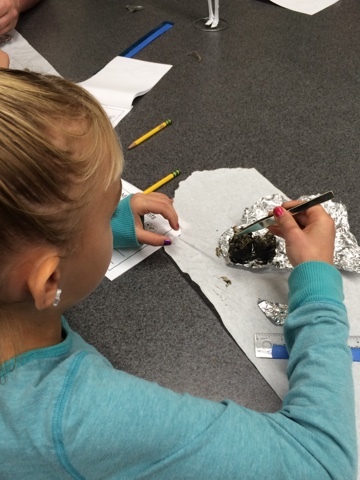 We are dissecting owl pellets in the Science Lab. Here is a mouse skull. Look closely, you can see the front teeth. 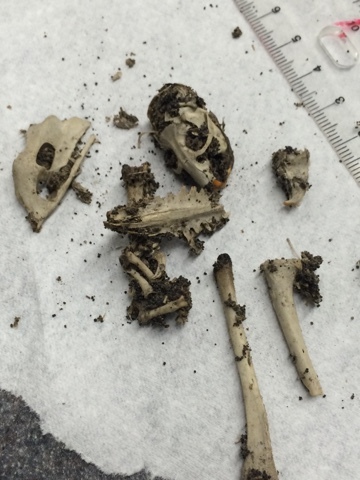 RS found a lot of bones in his owl pellet. He separated them into a pile. 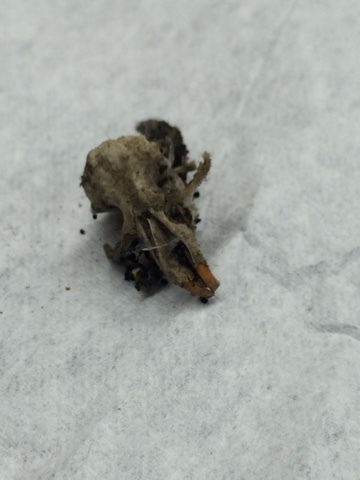 There were 4-5 mice in this one owl pellet! 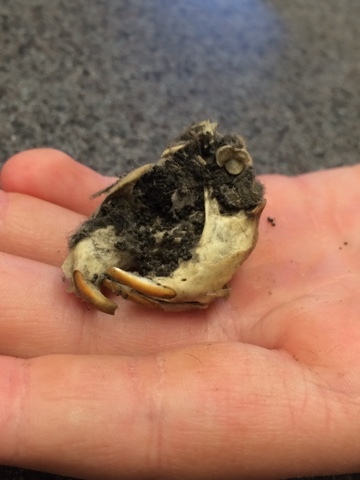 We found a bird femur in this owl pellet! 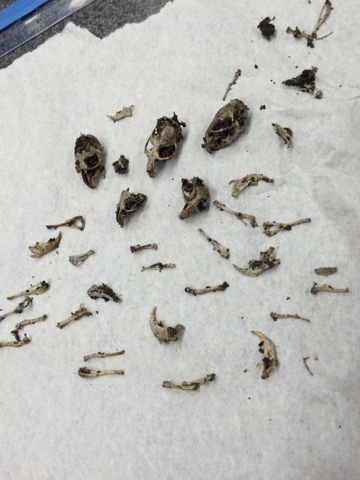 These are mice bones from an owl pellet. We saw a bunch of mice skulls. Look at these teeth! AF and RS are building a mouse skeleton using a diagram. 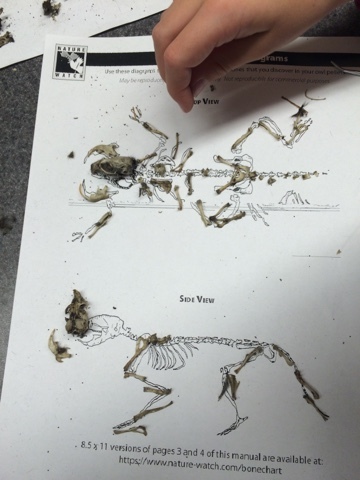 Here is an up close look at a mouse skeleton in progress.